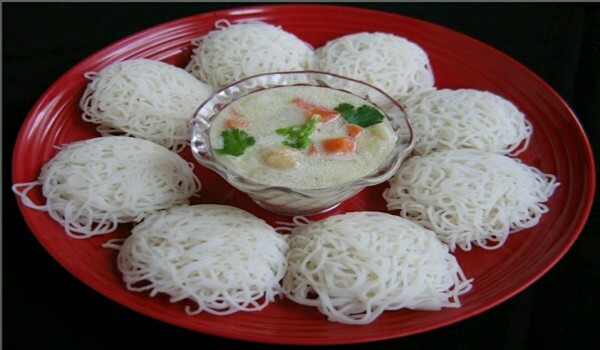 Iddiappam is a very popular recipe. Learn how to make/prepare Iddiappam by following this easy recipe. Mix flour with boiling water and salt to make smooth dough. Divide into two parts. Slightly oil the iddiappam press mould and keep one part of dough in it. Press it to get round pieces. Repeat with the other dough piece. Serve hot with egg curry or brown chickpeas curry.